SMA America recently signed a 10-year Master Services agreement with Cypress Creek Renewables (Cypress Creek), under which it will perform inverter preventative maintenance services for a portfolio of projects, primarily located in North Carolina. Cypress Creek is a leading solar development company. Working in close partnership with local communities, Cypress Creek develops, builds, finances and operates local solar farms across the country. Cypress Creek has operating facilities in eight states and is actively developing projects in more than a dozen states. Cypress Creek has grown its portfolio of solar projects while managing operation and maintenance tasks in-house. To maximize the value of its projects, Cypress Creek has selected SMA to lend its expertise in inverter technologies to manage inverter risk. This will allow SMA and Cypress Creek to leverage each other’s core competencies to maximize plant life and profitability. 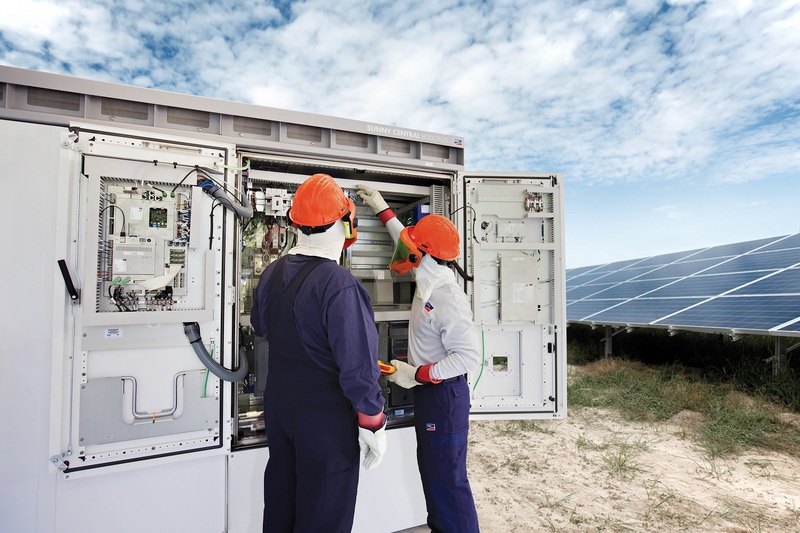 SMA Service currently has more than 2.5 GW of solar assets under operation and maintenance (O&M) agreements, which are monitored from SMA’s NERC compliant Solar Monitoring Centers located in California and Germany.